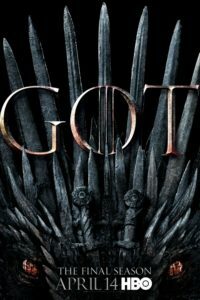 Game of Thrones Season 8 Premiere at the Jean Cocteau! GOT fans! You can catch the Season 8 premiere of Game of Thrones at George R.R. Martin’s own Jean Cocteau Cinema for FREE! This Sunday, April 14th – doors open at 5:30 pm, activities will be held at 6:30 pm, and the screening will commence at 7:00 pm. Come in your best Game of Thrones Costume for a chance to win prizes, and there will be a raffle with prizes as well. The event will be live streamed (be prepared to be on camera) and admittance will be first come, first served (it’s a free event – no pre-sold tickets).